Who’s thinking of the knockout stages and who’s thinking of the avoiding the drop. THE PICTURE BECAME clearer in the Allianz hurling league over the weekend. The second last round of games took place and Division 1 semi-final spots are still up for grabs. The promotion and relegation issues continue to be sorted in the other divisions. But there’s still plenty to play for in the last round of action this weekend. Here’s the current state of play. The remarkable situation in Division 1A is that all of the six teams can reach the league semi-finals ahead of next Sunday’s final round of games and all of them can suffer relegation. Waterford currently top the table on five points while Clare, Cork, Kilkenny and Tipperary are all on four points, and Galway are bottom of the table on three points.The scoring difference currently sees Waterford at -3, Clare at +6, Cork at +6, Kilkenny at +2, Tipperary at -1 and Galway at -10. All six teams could finish on five points if Galway defeat Waterford in Walsh Park while the games between Tipperary and Clare, and Kilkenny and Cork both finish in draws. In that instance scoring difference will come into play to determine the three semi-finalists and the two teams who will be involved in the relegation play-off. Waterford are in the best position as they only need a draw to reach the semi-finals. Conversely their opponents Galway must at least draw to avoid the relegation play-off and win by a sizeable margin to be in with a chance of reaching the knockout stages. 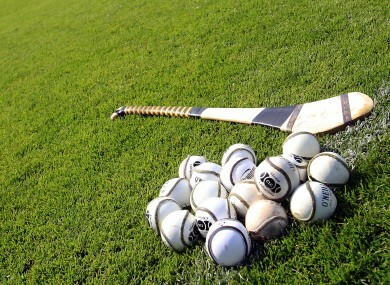 Kilkenny and Cork meet in Nowlan Park while Tipperary face Clare in Thurles with all four sides knowing if they win, they will reach the semi-finals. The Cork team huddle before yesterday’s game against Galway. Limerick on eight points are already certain of a place in the Division 1B final on April 7th and only need to draw against Wexford on Sunday to be assured of top spot. Dublin are on six points and only need to draw in their last game against bottom of the table Carlow to join Limerick in that decider. Wexford and Offaly, both on four points, have an outside chance of reaching the final. But they must both win their last games against Limerick and Antrim respectively, while hoping Carlow defeat Dublin. In that scenario the pair will be on six points along with Dublin and scoring difference will come into play. But even then Dublin are in a strong position as they are currently on +16 whereas Offaly are -1 and Wexford are +2. Carlow are bottom of the table and already in the relegation play-off. They will face Antrim there unless the Saffron County manage to defeat Offaly on Sunday. Laois, Westmeath and Kerry are all on six points entering the last round of games. Laois are at home to Wicklow, Westmeath entertain Kildare while Kerry are at home to Derry. If all three triumph, scoring difference will come into play with Laois currently on +32, Westmeath on +17 and Kerry on -1, to determine which two teams qualify for the final. Derry are on four points and have a scoring difference of -10. They have an outside chance of surviving but must defeat Kerry while hoping Laois and Westmeath lose. At the bottom Kildare are pointless and will face Wicklow, who are on two points, in the relegation final irrespective of Sunday’s results. Meath have already qualified for the Division 2B final with yesterday’s win over Roscommon and will face London in that decider irrespective of the outcome next Sunday. The relegation final will be contested two teams from the trio of Roscommon, currently on one point, Armagh, on two points, and Mayo, on three points. Donegal have already reached the final. They meet Fingal on Sunday and if Fingal get at least a point from the game, they will contest the decider as well. If Fingal (+9) lose and Louth (-3) win against Tyrone, it will come down to scoring difference as the two teams drew earlier in the competition. Monaghan are already in the relegation decider and they will face either Tyrone or Fermanagh, who are both currently on two points. Sligo are through to the final and will meet either Longford, who face Sligo on Sunday, or Leitrim, who play Warwickshire on Sunday. Email “Get the calculators out…Allianz hurling league permutations”. Feedback on “Get the calculators out…Allianz hurling league permutations”.